No matter what the season, tea is always be a tasty choice of beverage. But its benefits go beyond taste and refreshment. The rich taste and fullness of each cup of tea is high in nutrients, antioxidants, and offers a number of additional health benefits. Almost every tea contains natural antioxidants found in the plants. While black tea is lower in catechins and polyphenols, it’s naturally high in antioxidants. Antioxidants can help protect your body from kidney and liver damage, digestive health problems, and environment toxins. Antioxidants can also keep you feeling young and healthy. Because of tea’s high antioxidant levels, scientists discovered that tea can also lower the risk of heart attacks. 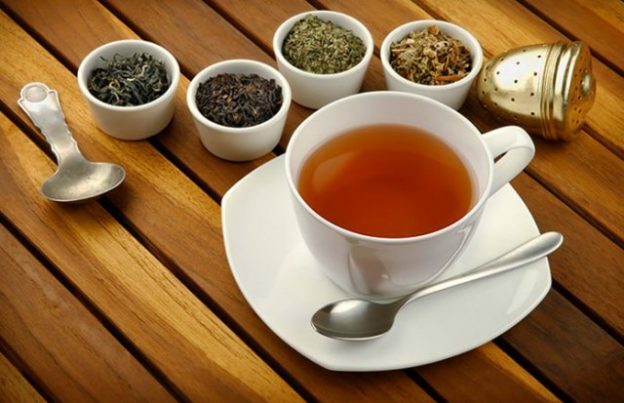 When black tea is consumed and part of a normal diet, your health and wellness can improve. Drinking green tea is also associated with lower total cholesterol, LDL, and triglycerides, and higher HDL (“good” cholesterol levels). The caffeine content of tea is significantly lower than coffee and healthier for you. Although the caffeine content varies widely, typical tea levels are less than half that of coffee, ranging from 20 to 90 milligrams per 8 fluid ounces (compared to 50 to 120 milligrams in coffee). Studies have shown that black and green tea’s caffeine content may provide increased stimulation, hydration, and mental perk when consumed in small amounts. Green tea, for instance, can increase your energy levels while providing you more beneficial properties than vitamins C and E.
A cup of tea contains zero to very few calories. Processed, artificially-sweetened tea beverages are loaded with extra calories and unnecessary sugars. Adding lemon or honey to tea is fine, however, the addition of cream, sugar, whipped cream, and other flavorings can turn tea from a healthful beverage to a not-so-healthful one. Herbal teas, in particular, can help boost your immune system and sooth your digestive system. Hot tea can help ease sore throats and kill bad bacteria when sick. Ginger teas can help cure nausea or stomach pain, as well. Peppermint tea, in particular, is loaded with antioxidants and can decrease your chances of experiencing cold symptoms and the flu. The health benefits of tea are endless! At Finest English Tea, we have a variety of teas available for you. Experience the many health benefits of tea with one of our unique tea varieties in our shop. This entry was posted in Tea on 04/25/2017 by Adam Rosenthal. I didn’t realize that tea could actually help your immune system get stronger. I am always getting sick, so anything that can help my immune system get stronger would be awesome. I will have to add tea to my diet and see if it helps me!